I have found gardening to be a continuous learning process. Fall/Winter gardening is something I have little experience with and decided to do a little this Fall. 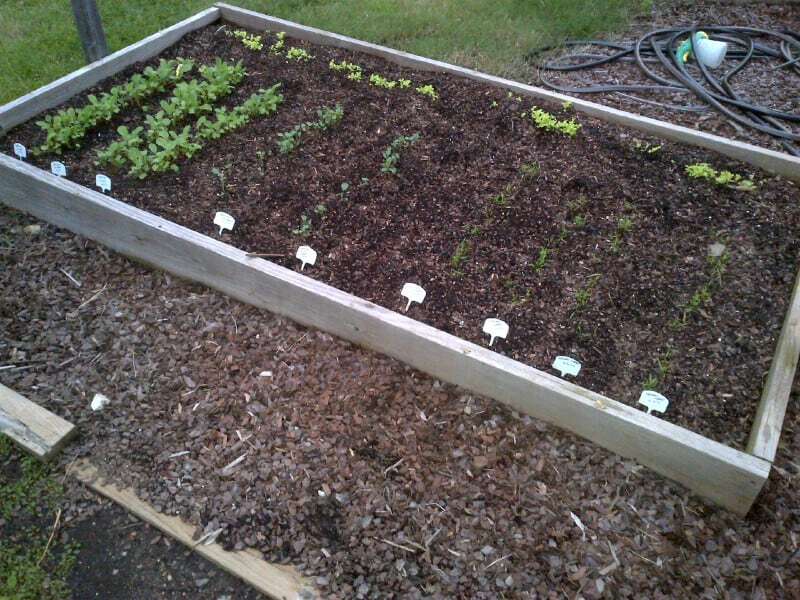 In one raised bed I planted lettuce (Red Seeded Simpson), broccoli, carrots, and radish. 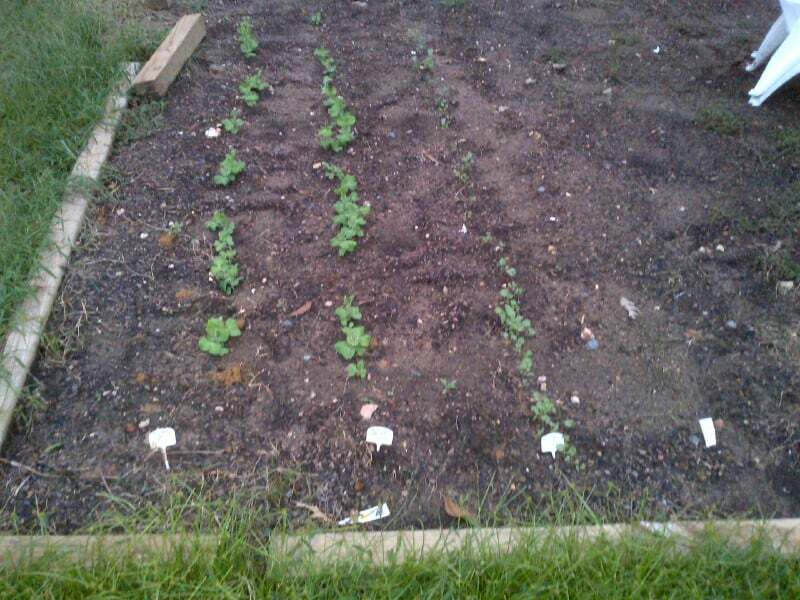 In a small portion of my main garden I planted peas, broccoli, and more lettuce (Romaine). Now – I am not just planting some food for growing a Fall garden – I have conducted an experiment. All of the seeds except for the Red Seeded Simpson lettuce have been stored since 2009. No special storage method. Just sitting in my garage on a shelf. In the last picture above my okra trees plants tower close to 7 feet in the air and continue to produce. In front of them is one of my compost bins which I have kept in my main garden. 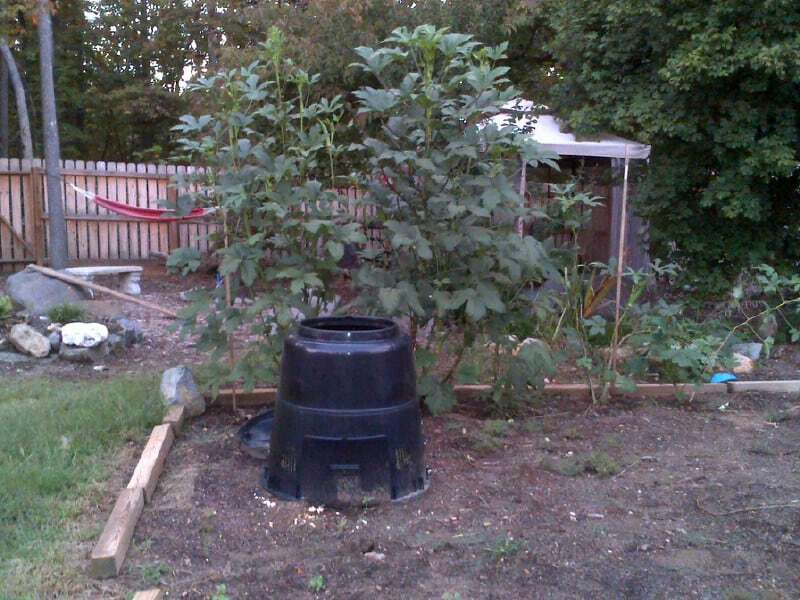 Some may see this as strange to place the compost bin right in the garden – but I have found it useful. The bin is relatively close to the kitchen so it makes for short trips to put scraps in it. The soil underneath the composting material will become super rich over time. With that said – I will move the bin to a new location in the garden each year. So far – germination rates from the old seed has been great. I continue to have great experience with older seed – in vegetables as well as flowers. This bode wells for preppers who store seed for use as well as barter. I will update later in the season. Last weekend I was cleaning up raised garden beds and had some carrot seed packets dated 2007 so I decided to plant them and see what happens. Looked out today and they are coming up…brought a big smile to my face. This will be the first time for Fall garden: radishes, garlic, lettuce, CARROT, spinach, sweet peas..left the peppers in-they are still producing!! Awesome Marchall – please email me the results of your plantings if possible and I will share with everyone. my own saved calendula and marigold seeds grow well; still using those from 2010. However some heritage spinach seeds produced wildly two years ago when purchased, but seeds haven’t taken at all. So checking them out is a great idea – i’ll be looking for an alternate spinach seed. I have 2 transplanted tomatoes that are still producing and a squash direct seeded at the end of July that is over-producing by leaps and bounds! This is my first fall garden. I hope to surround it with straw bales and lay a cover over it when winter finally kicks in. Looks great Rourke. I haven’t started planting yet, but I am going to go ahead and start some seeds while I get the garden ready. We normally have awhile before things start getting really cold here in N FL. so I think I’ll be ok. Also nice to know seeds that old with no special storage method will still produce. Great work! Will wait for your next share to know the result of the seed plantings. I had planted the eggplant seeds, and later when I saw the small plants coming out, I was feeling extraordinarily happy.